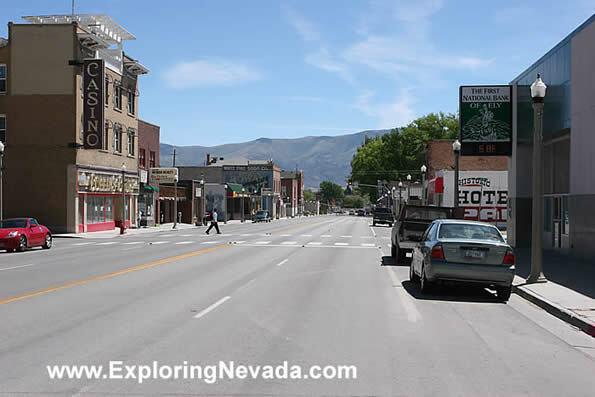 Just a photo of main street (which is Highway 50) as it runs through the downtown. If the street seems a bit empty, it's because the photo was taken on a Sunday. Additionally, most of the traffic tends to "skirt" Ely on US 93 and US 6 (both of which bypass downtown Ely). Photo Use Policy : How you can use photographs for online and offline use.